يقع Bay Motel في تاون سنتر, خليج بريون, هو خيار شائع بين المسافرين. يسهل الوصول إلى هذا الفندق ذو 3.5 نجوم من المطار، فهو يبعد عنه مسافة 30. Km فقط. يوفر الفندق بفضل موقعة الجيد وصولاً سهلاً إلى أهم معالم المدينة.
. استمتع بالخدمات الراقية والضيافة التي لا مثيل لها بهذا الفندق في خليج بريون. يقدم هذا الفندق العديد من الخدمات الكفيلة بإرضاء أكثر الضيوف تطلباً. تتضمن كل غرف النزلاء وسائل الراحة والتسلية المصممة خصيصاً لضمان الراحة القصوى للضيوف. كما أن مجموعة الخدمات الواسعة الموجودة في الفندق لضمان راحتك تترك لك الكثير من الخيارات لقضاء وقتك أثناء فترة إقامتك. مهما كانت دواعي سفرك فإن Bay Motel هو خيار ممتاز لإقامتك في خليج بريون. They tried to charge me more than the Agoda rate. Agoda rate was $788 for 2 nights & the motel tried to charge me $915 saying that I had to pay extra bcos the had to pay Agoda $137. I had an arguement with them over the last minute rate. Housekeeping came in & only made the bed. They did not sweep the floor or clean the dirty dishes. the TV was old & could not get all free to air channels, let alone HD. Apart from that it was comfortable enough. 2nd visit here. Excellent location. 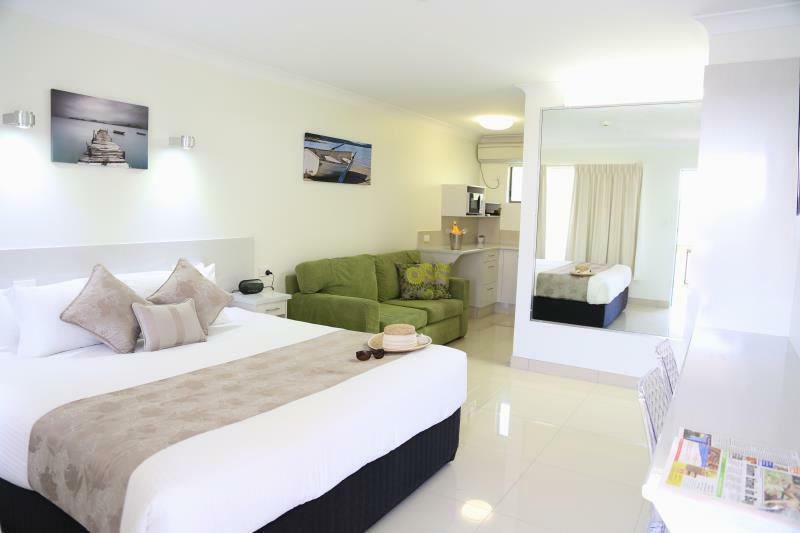 Ticks the boxes for basic clean accommodation in excellent location opposite beach and near town, restaurants shops park etc. friendly staff. Thanks for a nice stay. A little noisy but was close to everything!! great place to stay, Sarah was awesome, she took care of all our needs without hesitation! we will definitely stay here again! 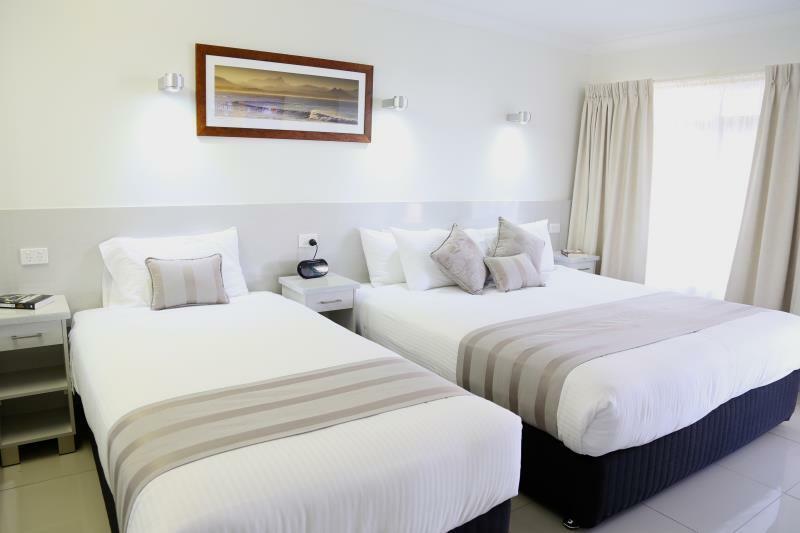 Staff was extremely friendly, room was clean, location perfect! Though a little expensive. Bad experience. Attitude of the staff at the reception is horriable. May be I am just unlucky to encounter that old lady as some of the reviews says "friendly staff". I don't think so. Not recommend to anyone who planning to stay at this hotel. Try the hotels nearby. Stuff running the place not all that friendly, possibly doing this for a bit too long and are over all these tourists expecting value for their $$ and a service with a smile. Not overly clean there was mild in the grout joints in the shower - furry type so had been there a while. 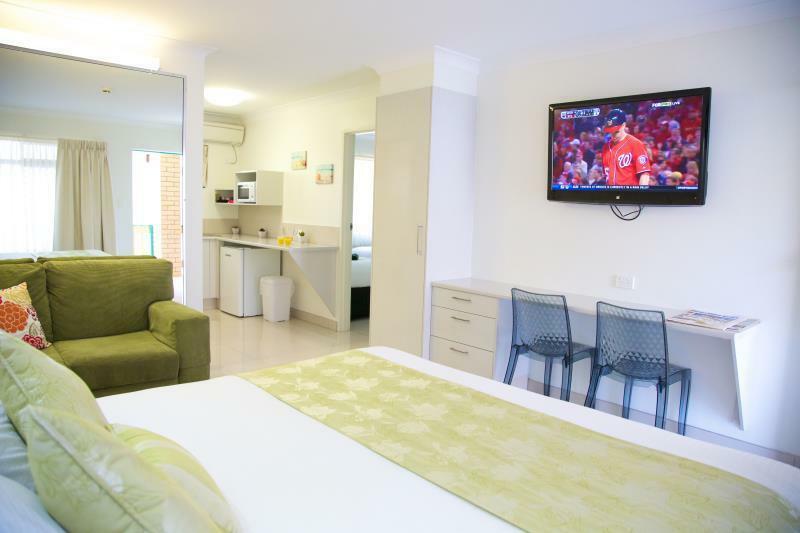 Room being services meant primarily changing towels which given poor ventilation in this place it was a must as towels never dried overnight. Tiled floor everywhere but not once was it moped. The bins were only emptied if full enough and beds were never once made. I had to clean the floors 3 times with their towels because between rain and sand floors were disgusting. Had to do it because otherwise all dirt would be brought in bed and who wants to sleep in a dirty bed. Only one washer was ever provided between 3 people. No fly screens on any windows and huge big gap under the door consequently we share our room with the local friendly baby gecko. At check out time which was at 10:00 am we had a knock on the door right on 10 giving us the hurry up. Never ever have we had this done before in all the motels, hotels we stayed at. We were packed and most luggage was in the car, and the stuff could see this, so it wasn't necessary, and in my opinion soo rude. They went into the room before we even returned the key. Loved the location but next time we'll not be staying here. Great hotel. Lovely location. Lovely owner. Lovely rooms. Very friendly staff on check in. 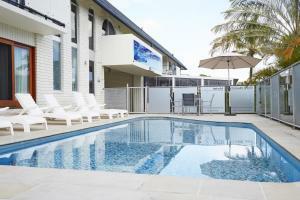 Location can't be beaten as the motel is directly across the road from Byron main beach. 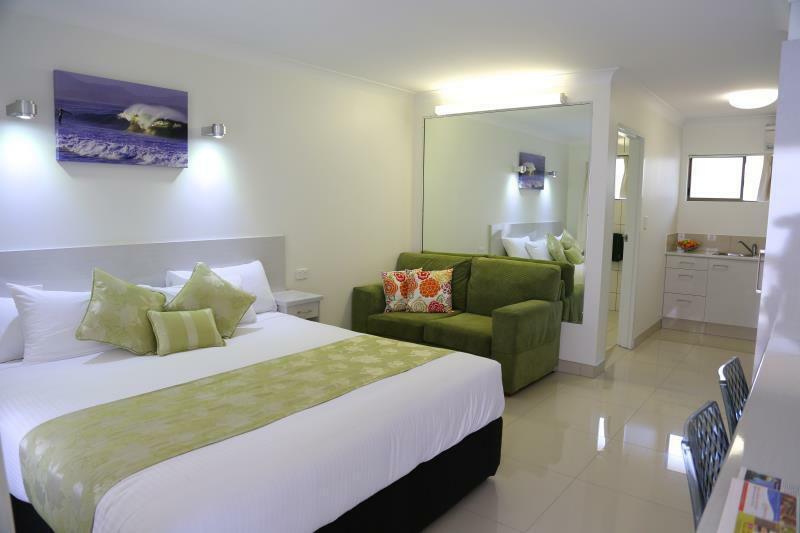 Rooms are beautifully renovated. Quick weekend getaway in a great location. Older style motel, very clean but overpriced for what was offered. Great. I felt very relaxed from the moment I opened the door. our stay was wonderful!! the staff were lovely and the rooms looked new! they were great! the location was perfect!! the price was reasonable and i couldn't fault the place at all!! 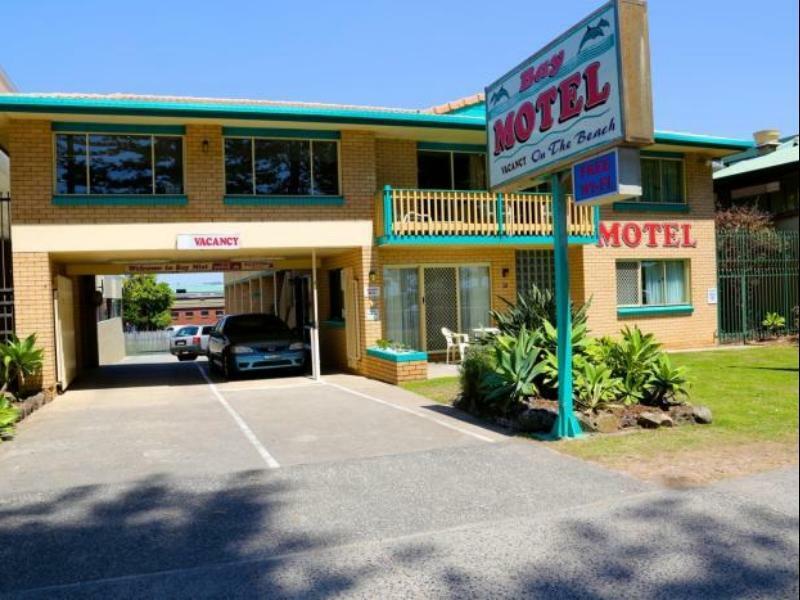 the motel is central to most things like cafes,restraunts,shops etc.the room its self is basic and is adequet for overnight stay,two max.needs a refurbisment. There were some problems with the electricity supply and power points which caused a problem.